The only way to avoid PMI (private mortgage insurance) is to have at least 20% for a down payment. For a long time buyers thought they needed this to move forward on a home. But in reality, when interest rates are as low as they are, sometimes it makes more sense to put less money down and save your down payment and invest that somewhere else. For example, because interest rates are still at an all-time low, the cost to borrow money is pretty cheap right now. 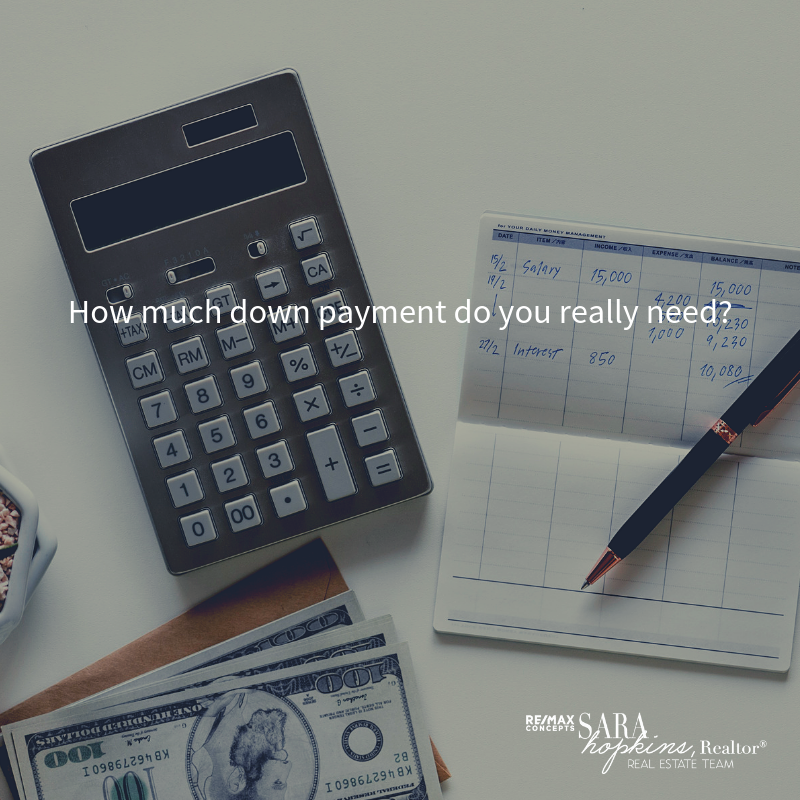 A 3% or 5% down payment can be a conventional mortgage and not require you to use FHA. FHA would be a higher PMI – but for some people that’s all they qualify for because the debt to income ratio is more lenient with FHA and allows a lower credit score. But assuming you can go conventional you can do either a 3, 5 or 10% down payment. For even more of an eye opener on what your monthly fees would be, imagine this scenario I ran from a standard mortgage calculator (all fees should be verified with your lender and this is a rough estimate) but on a $200,000 home a 10% down payment would be $20,000, 5% down payment would be $10,000. Let’s assume an interest rate of 4.5% amortized over 30 years, taxes are 2% and your home owners insurance is $800 annually. We will take PMI out of this factor because we’re going to assume the lender can pay the PMI up-front so it’s not included in the monthly amount. So for the 5% down payment – principal, interest, taxes and insurance your monthly payments would be $1,326.70 a month. Now same calculations but with 10% down (so coming up with 10,000 more!) your monthly payments are now $1,312.03 a month. For $14/month savings, it may make more financial sense for you to keep your $10k and go buy new furniture without having to finance it!